Designers nowadays are more hooked up with the thought of involving gardens in design – whether they are residential or even commercial buildings. We can see more and more malls that has roof gardens and we see more and more people, especially those who loves plants and maybe are about to retire – find comfort in taking care of plants in gardens. 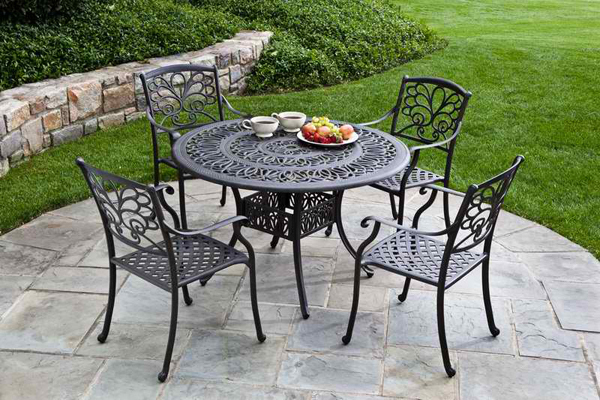 With that in mind, today, we will be showing you a list of metal outdoor furniture that may seem simple and maybe ordinary – but they sure add up to the beauty that nature has in stored for us. Below are 20 images that you may see online or in magazines and maybe your neighbors – message us with what you actually think about them! 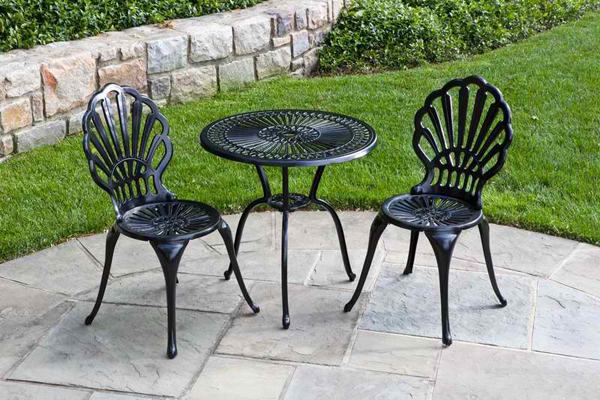 JVP Furniture Hire has this tiny metal outdoor furniture set that reminds us of tea time in tea-loving county homes. We love it! I believe that this picture might be photoshopped, but note the class that this furniture set has in its sleeves. 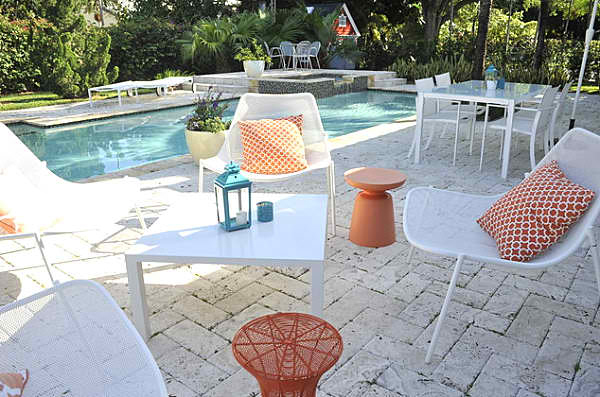 White furniture is one of the best colors for furniture because they go well with anything and pretty much anywhere – just like this one, beside the pool. Shabby? Check! Awesome? Check! 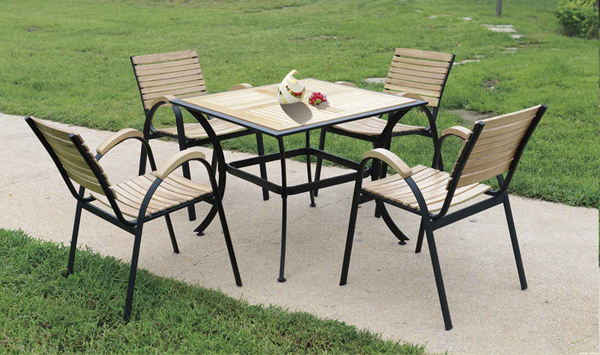 This is one furniture set that will make your gardens fun and friendly. 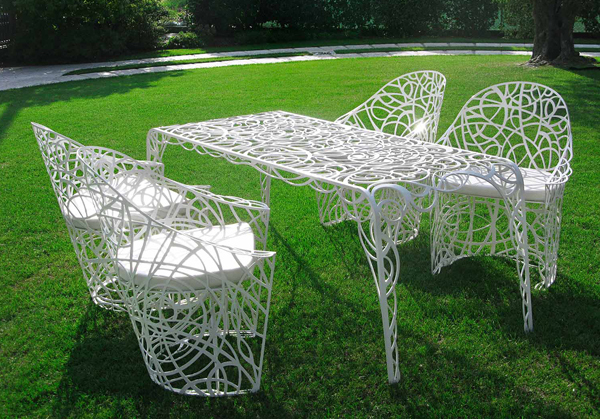 Comfortable chairs with different legs – interesting right? They not only seem comfortable, but very appealing. 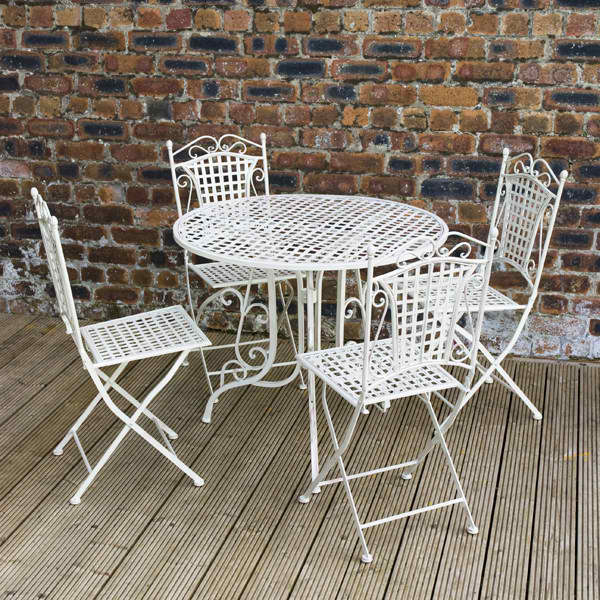 Cute and white – this is one furniture set you can add to that small corner in your garden for added beauty and chicness. This would make a fabulous chinoiserie green DIY project. 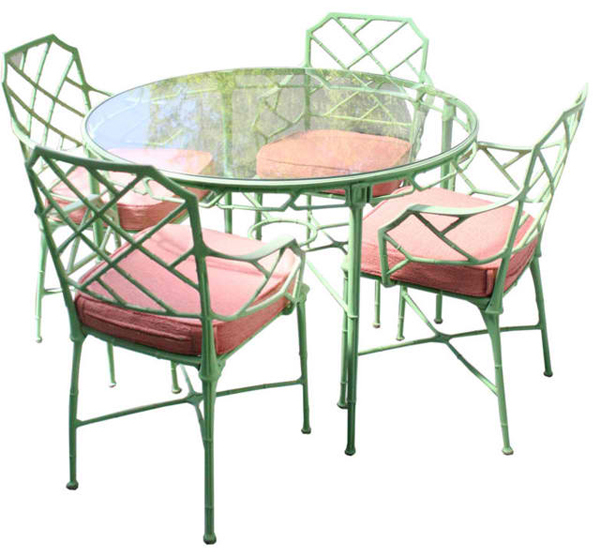 Paint a vintage faux-bamboo patio set in spring green and add terry Sunbrella cushions in the color of your choice. Preppy pink and green are used here. 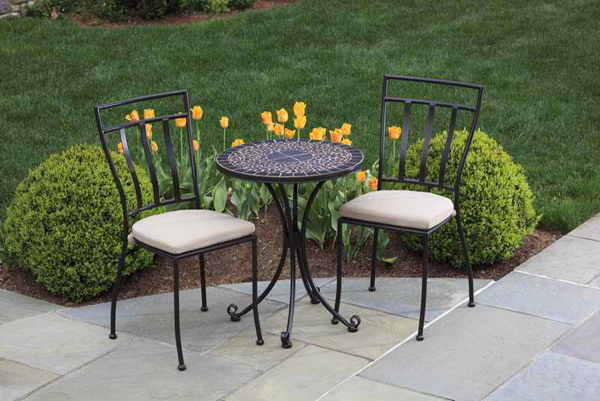 Here is another set of outdoor furniture that you can add to corners of your gardens or patios. 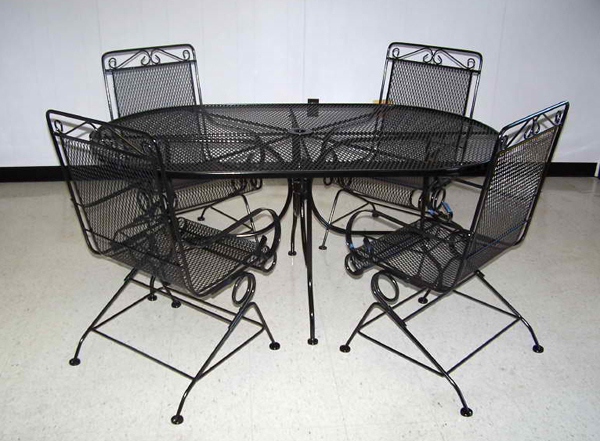 Something we can use for dining or plainly hanging out! Looks like something in the living room? Haha! 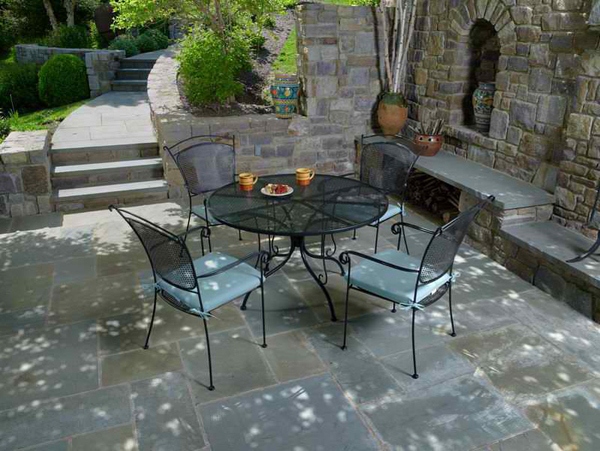 Nah, this one is best suited of course for the outdoors! 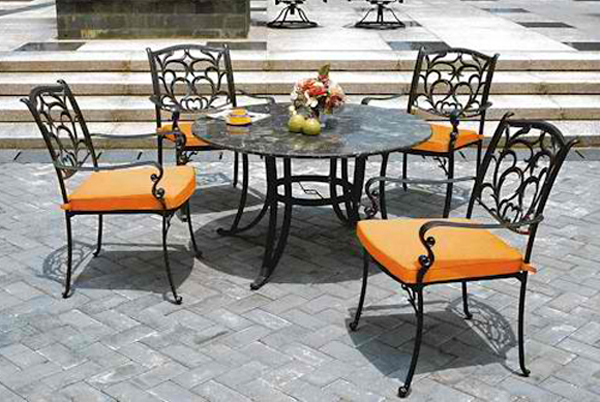 We like how sturdy it actually looks and how classy the color and design is. 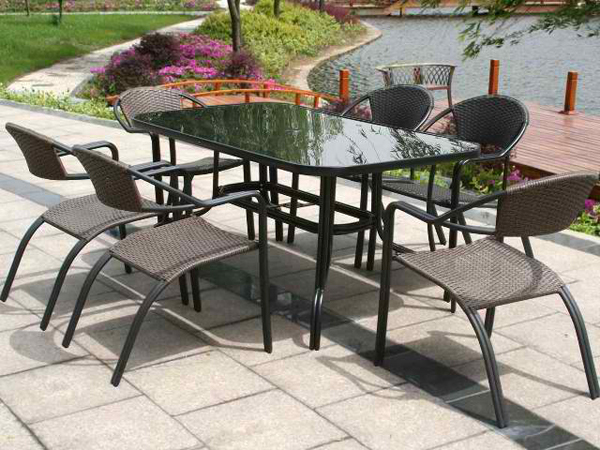 Glass top for your outdoor table when used makes tables prettier. The design of the chairs look great too! 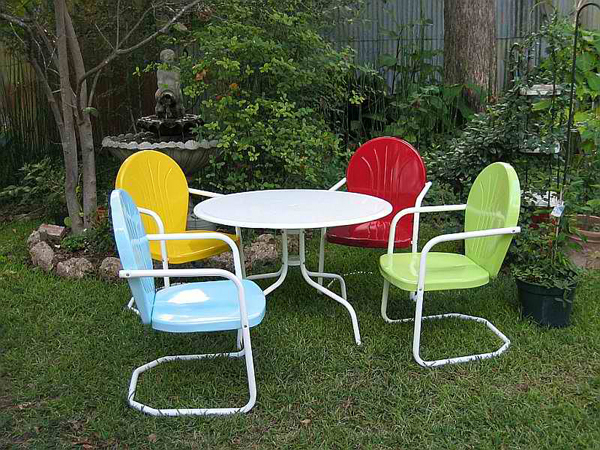 I personally am fascinated with the color and design of this furniture set. 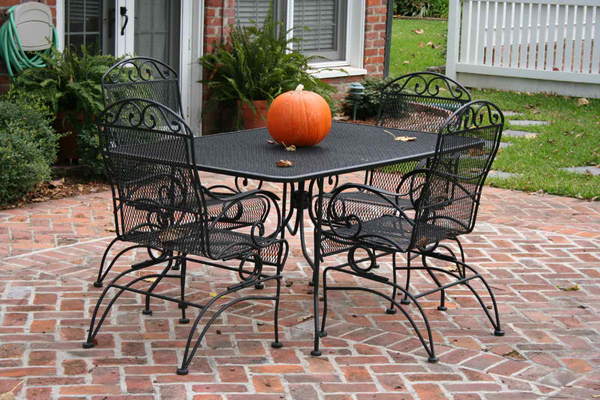 Don’t mind the pumpkin – love the table and chairs already! Love the design of the back of the chairs. Reminds me very much of Ariel and the beautiful underwater. Adding wonderful colors to the cushion of your seats create a different feel for your furniture. Here is one example of metal and wood together. Beautiful pair though. 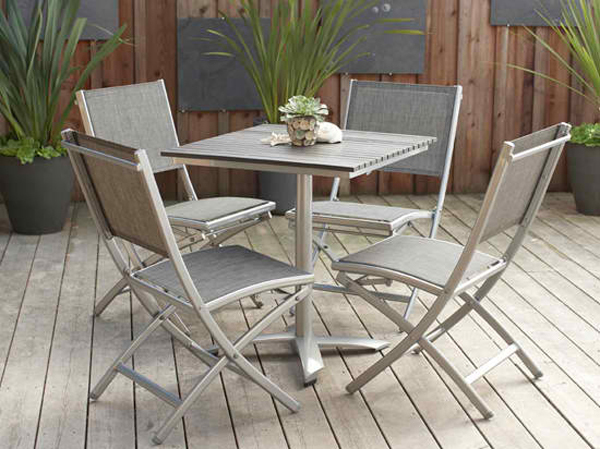 Another simple yet stunning design from Furniture Village. 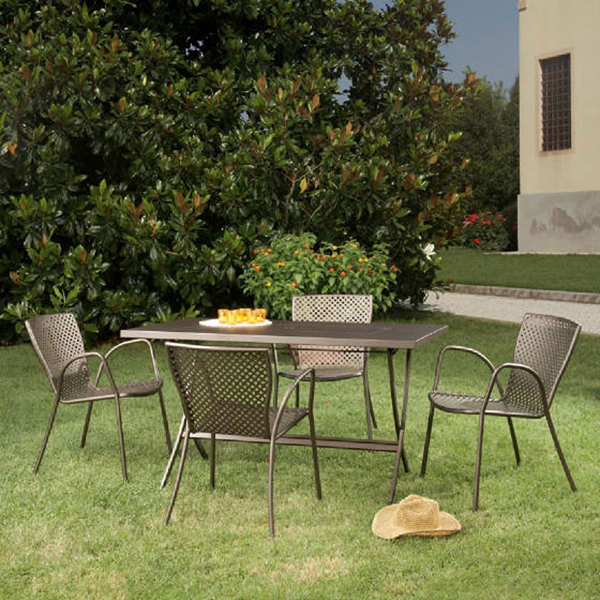 The table of this metal outdoor furniture looks really heavy but it sure is stunning and has great design – well, the chairs too. Pretty and just super stunning! I’d love to have this any day! 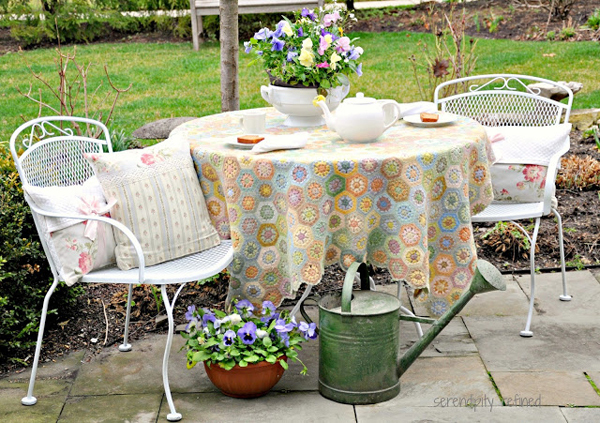 Serendipity Refined is a blog that features the refurbishing of this wonderful outdoor furniture. Changing it to white made it prettier. And there you have it! A list to beat! 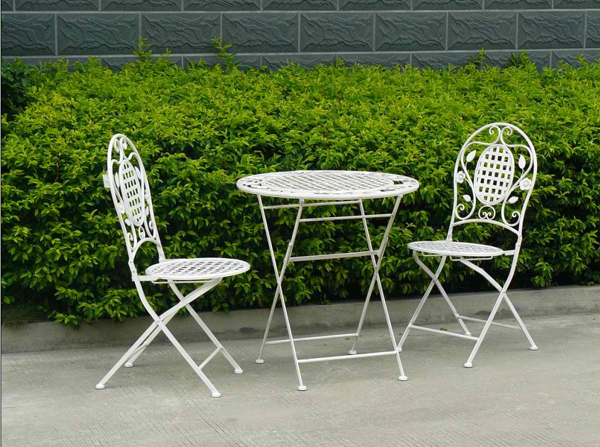 Those metal outdoor furniture is slightly similar to the the furniture we place in our balcony which we are sure that you will like to see from time to time. 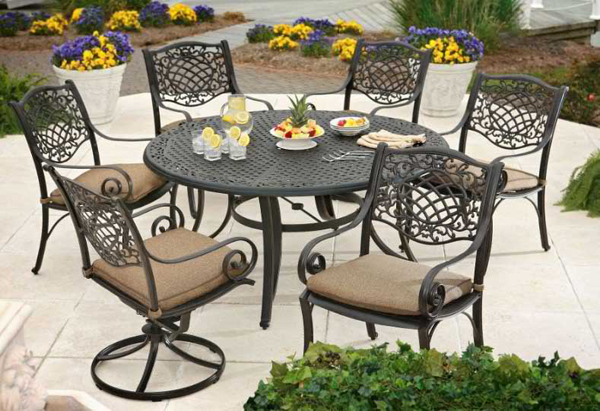 So, anytime you need to pick out outdoor furniture, you can surely check on these lists! More on Home Design Lover!